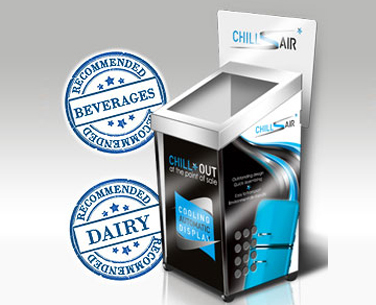 campaign for your chilled products within seconds!. 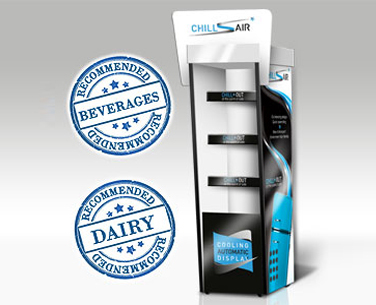 In transportation ChillAir takes up to 3 times less space than traditional refrigerators. 80% higher product rotation compared to close front coolers. 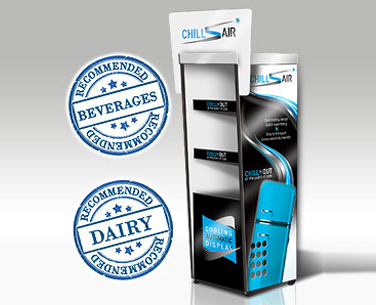 The unique design makes ChillAir highly visible at the point of sale. Smart led lightening system enhance the visibility of your products. 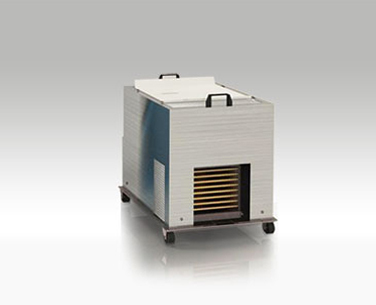 Easily positioned anywhere in store due to small footprint size and wheel system. Replacing the automatic display = optimising the marketing budget. Cooling device requires no assistance and its life cycle is 5 years. ChillAir is a guarantee of storage space and transportation costs reduction. 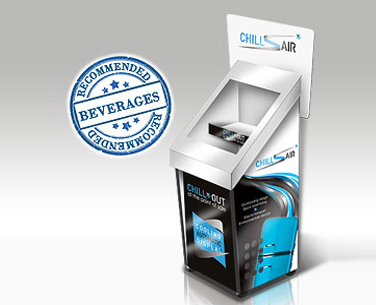 Create your automatic cooling display ChillAir according to your specific needs. 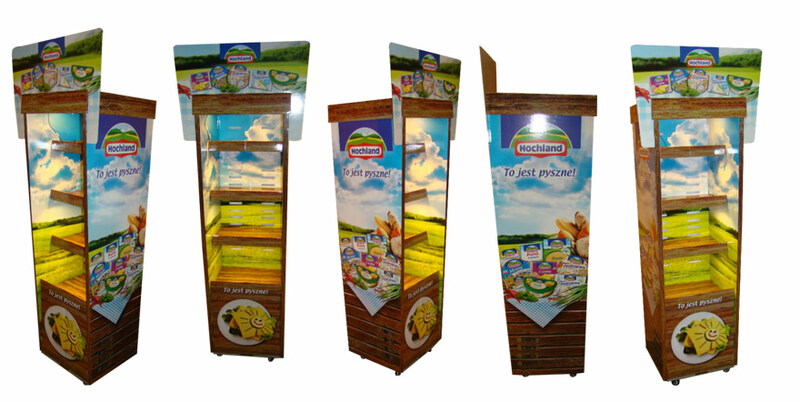 Header with die-cut, additional side elements, leaflet dispenser - these options will glorify your product at the point of sale! 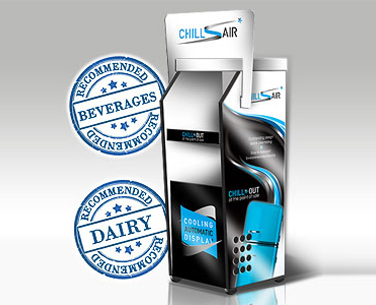 Double the communication, double the sales of your chilled products using the Double ChillAir set! Tasting of chilled products? Use the ChillAir Gate set! Island composed of ChillAir and automatic Lama stands. Tasting of chilled products? Use ChillAir + Panama + Lama table! Tasting of chilled products? Use ChillAir Tablama gate!